Bengal-Odisha coast intensified into a monsoon depression over the same area. 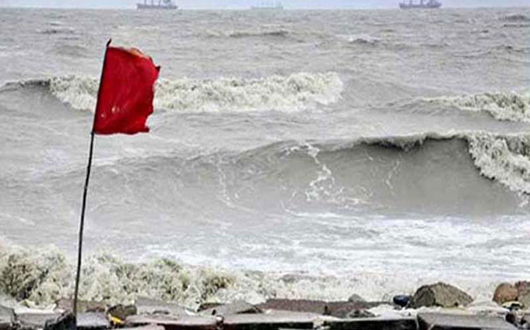 The law was centred at 12 noon on Saturday about 1205 kms west-southwest of Chattogram port, 1220 kms west of Cox’s Bazar Port, 965 kms southwest of Mongla Port and 1040 kms southwest of Payra port, said a met office special weather bulletin. It is likely to move in a northwesterly direction further and cross West Bengal-Odisha coast by evening or tonight, the release added. Maximum sustained wind speed within 44 kms of the depression centre is about 40 kph rising to 50 kph in gusts or squalls. Sea will remain moderate near the depression centre. Squally weather is likely to affect the maritime ports, the North Bay and adjoining coastal areas of Bangladesh. Under the influence of the monsoon depression, the low-lying areas of the coastal districts of Noakhali, Laxmipur, Barguna, Bhola, Patuakhali, Barishal, Pirojpur, Jhalokathi, Bagerhat, Khulna, Satkhira and their offshore islands and chars are likely to be inundated by wind driven surge of 2-3 feet height above normal astronomical tide. All fishing boats and trawlers over the North Bay have been advised to take shelter immediately and remain in shelter till further notice.